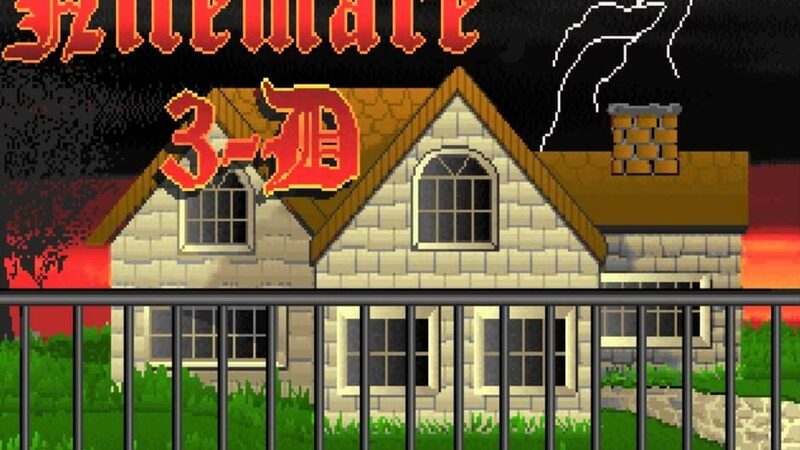 Nitemare 3D (N3D) is a first-person shooter PC game with a horror theme, released by Gray Design Associates in 1994 for MS-DOS and Windows 3.1x platforms. 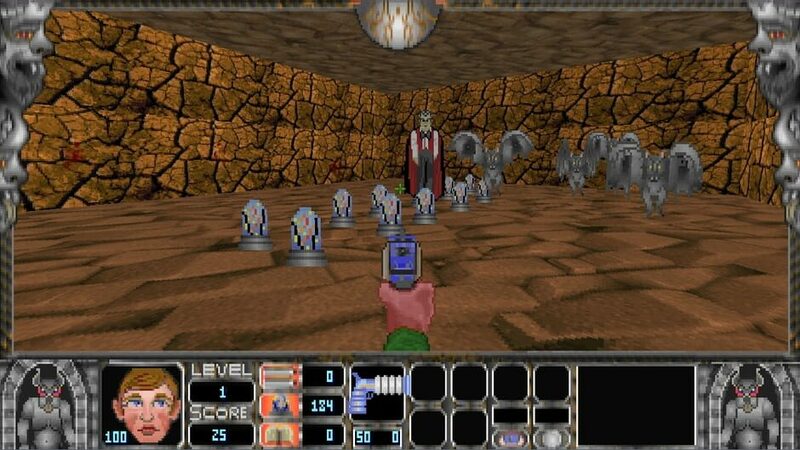 It consisted of three episodes with ten levels in each episode, with the first episode being was released as shareware. 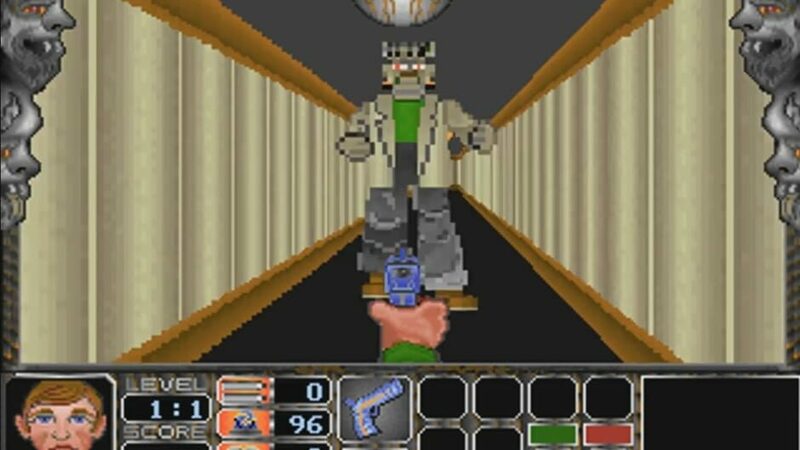 The full release came on two 3½" floppy disks and was accompanied by a guide to the game's thirty levels. 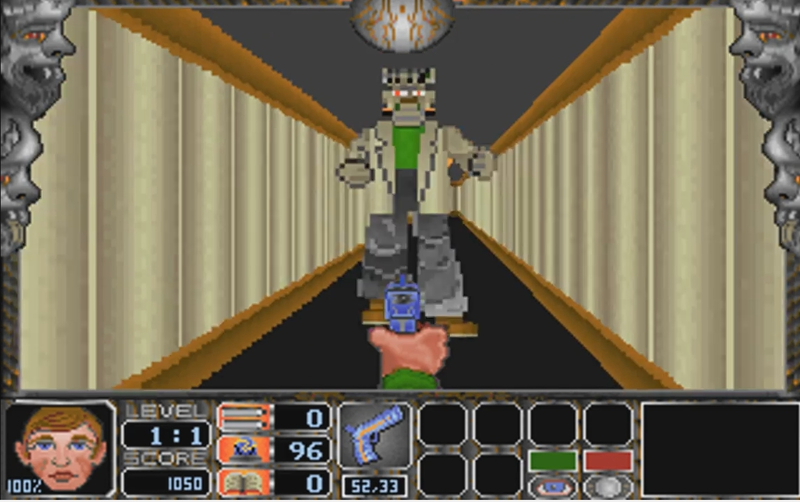 The graphics were similar to those used in Wolfenstein 3D or Ken's Labyrinth, with perpendicular walls and no textures on the floors or ceilings. The music in Nitemare 3D was composed by David B. Schultz (also composed for Quiver). 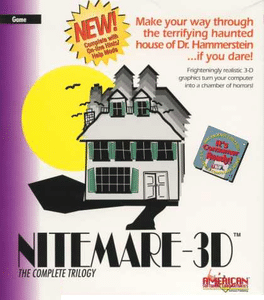 Nitemare 3D follows the story of Hugo, from the Hugo trilogy, a series of graphic adventure PC games consisting of Hugo's House of Horrors, Hugo II, Whodunit?, and Hugo III, Jungle of Doom!. Penelope, Hugo's girlfriend, has been kidnapped by the evil Dr. Hamerstein for use in heinous experiments. Hugo must battle through Hamerstein's bizarre mansion, underground caverns complete with prisons and laboratories, and finally through a twisted alternate dimension of demons and aliens in an attempt to save her. 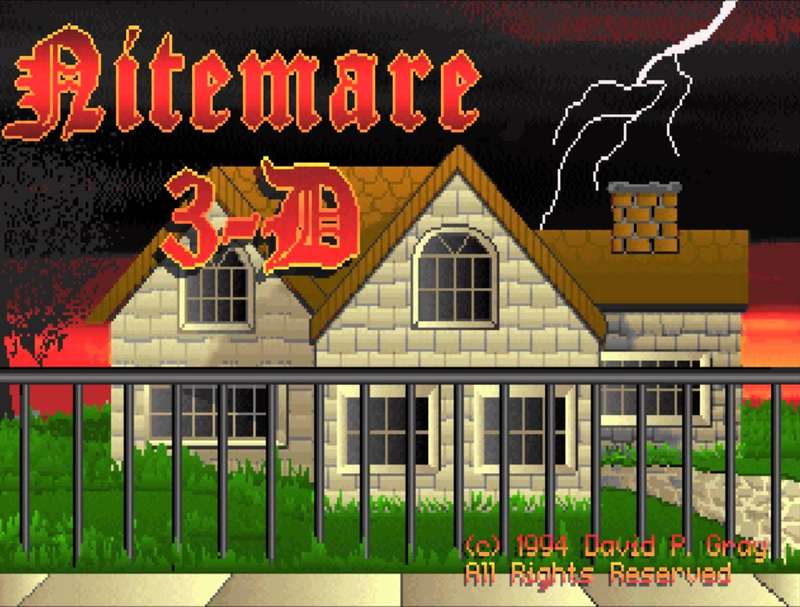 There are far more images available for Nitemare 3D, but these are the ones we felt would be most useful to you. If you have specific requests, please do contact the developer!